ANKARA, Turkey — Turkish President Recep Tayyip Erdogan said Wednesday that his military “won’t stop” trying to oust Syrian Kurdish fighters from northern Syria, as he met with the leaders of Russia and Iran for talks on trying to resolve the conflict. “I say here once again that we will not stop until we have made safe all areas controlled by the (YPG), starting with Manbij,” Erdogan said. He stressed that Turkey’s fight against the YPG would not distract from efforts to eliminate remnants of the Islamic State group from the country. Trump’s comments conflict with views of his top military advisers, some of whom spoke at a separate event in Washington on Tuesday about the need to stay in Iraq and Syria to finish off the militant group, which once controlled large swaths of territory in both countries. 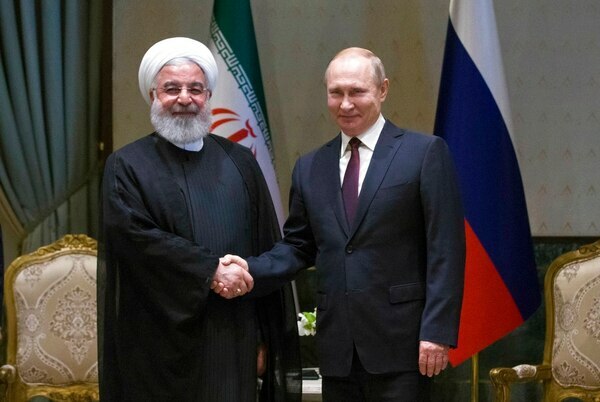 Asked about a possible U.S. pullout, Rouhani suggested Wednesday that the U.S. threat to withdraw from Syria was an excuse for soliciting money from countries that want U.S. forces to remain there. 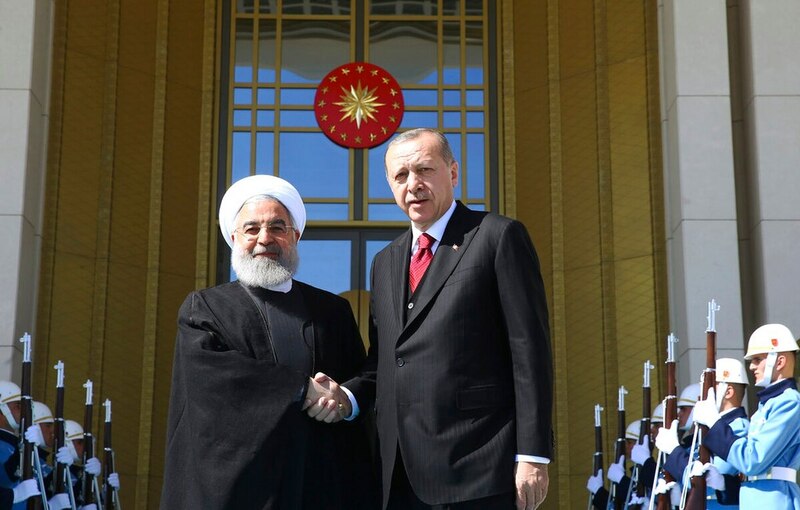 Rouhani also reiterated that there can be no military solution to the Syrian crisis. “It should be resolved through political solutions,” he said. Russia, Iran and Turkey have sponsored several rounds of talks between the Syrian government and the opposition, and brokered local truces in four areas, helping to reduce hostilities. Their next tripartite meeting will be held in Tehran. The Russian Defense Ministry and Syrian rebels struck a deal on Sunday for the Army of Islam, the biggest opposition group in eastern Ghouta, to leave the area for the rebel-controlled north.